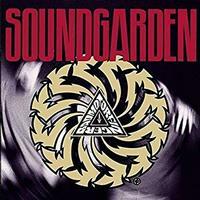 25th Anniversary Remastered Edition of Soundgarden's 2x platinum-selling LP! Beloved Seattle rock band, Soundgarden, celebrated the 25th anniversary of their 2x platinum album, Badmotorfinger, in 2016 with four special reissues including a newly-remastered version of the original album. Originally released on October 8th, 1991, Badmotorfinger spawned three singles including "Rusty Cage," "Jesus Christ Pose," and "Outshined." The focus on the Seattle grunge scene helped make Badmotorfinger a smash.